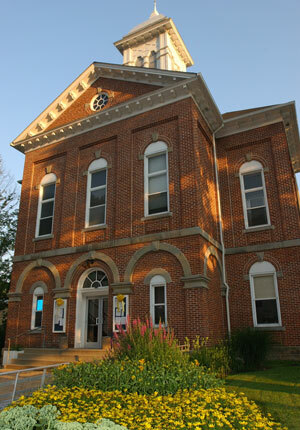 Historic Sutton, located in the Heart of West Virginia, is the county seat for Braxton County. Located approximately 3.5 miles from the geographical center of the state, Sutton is easily accessible from I-79, Exit 62, approximately one hour from Charleston, Beckley, and Clarksburg. With such a great location Sutton has become a destination stop for great food, great art, and super outdoor fun. Home to 1440 acre Sutton Lake, Bee Run Marina can rent you houseboat or a jonboat. Skiing, swimming, and boating are just a few of the things to do at Sutton Lake. The Elk River, long known for it's crystal clear water and fantastic fishing, was just named the state's newest Blue Trail. "The Elk River Water Trail" runs 72 miles from Sutton Dam all the way to Charleston. The 12 mile long Jeremiah Carpenter Mt. Bike Trail, located on the north side of Sutton Dam, is a challenge even to expert riders.